Fantastic Beasts: The Crimes of Grindelwald is an upcoming fantasy film produced by Heyday Films and distributed by Warner Bros. Pictures. A co-production of the United Kingdom and the United States, it is the sequel to Fantastic Beasts and Where to Find Them (2016). It is the second installment in the Fantastic Beasts film series, and the tenth overall in the Wizarding World franchise, which began with the Harry Potter film series. 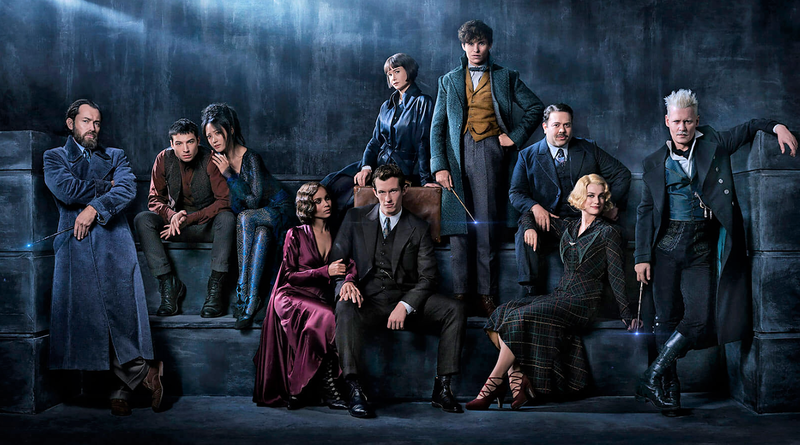 The film is directed by David Yates, with a screenplay by J. K. Rowling, and features an ensemble cast that includes Eddie Redmayne, Katherine Waterston, Dan Fogler, Alison Sudol, Ezra Miller, Zoë Kravitz, Callum Turner, Claudia Kim, William Nadylam, Kevin Guthrie, Jude Law, and Johnny Depp. Principal photography for the film began at Warner Bros. Studios, Leavesden in July 2017. Filming also took place in England, including London, Switzerland, and Paris. Fantastic Beasts: The Crimes of Grindelwald is scheduled to be released in theatres, Real D 3D and IMAX 3D on 16 November 2018.